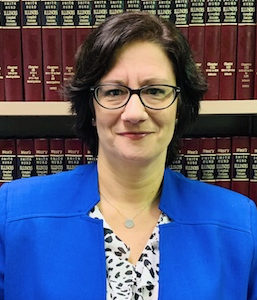 Dana Djokic worked in-house for AIG Staff Counsel from 2006 through 2018 handling the defense of workers' compensation claims of various complexities. She has tried many cases before the Illinois Workers' Compensation Commission. She changed her career focus to pursue her passion of representing injured workers in the State of Illinois. Dana has a B.A. in English with Honors from Florida Atlantic University. She obtained her J.D. from Nova Southeastern University in Fort Lauderdale, Florida. In 2001, Dana's article entitled "Coffee? Tea? Or a Pamphlet Detailing your Human Rights?" was published in the International Travel Law Journal (Issue Four). The article discussed the impact of the Air Carrier Access Act (49 U.S.C.S. Section 41705; 14 C.F.R. Section 382, et seq.) on the American airline industry. After completing her education, Dana moved back to where she grew up in Highland, Indiana. Dana is a member of the Workers Compensation Lawyers Association. She is an avid reader of fiction and enjoys nature walks with her two dogs. Dana has a conversational proficiency in the Serbian language.